THE French Paradox a Healthy Heart and Youthful Skin | Nasobih | Nasobih Naturals Ltd.
Nasobih Nutra-Caps contain grape seed extract, resveratrol, Vitamin C, and Citrus Bioflavanoids all of which are antioxidants that will improve your health and make you younger looking. 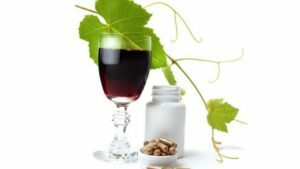 One to two capsules per day will have the same medicinal value of 1,000 bottles of red wine…..per day. I am not advocating that you drink 1,000 bottles of red wine per day, but you get the picture……I hope! Nasobih Nutra-Cream contains a high concentration of a very special grape seed extract trade marked as Protovin. Many other antioxidants and essential oils are added to make the most all natural creamy smooth anti-aging/antioxidant face cream you ever tried…..guaranteed.